Last week was a complete whirlwind – whew. 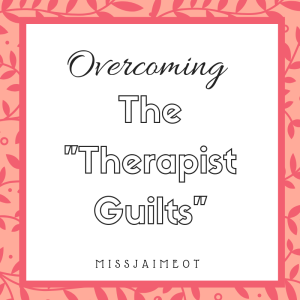 I’m finally getting settled at home, but I wanted to share my highlights of the American Occupational Therapy Association conference in New Orleans, LA. Reuniting with old friends from across the country and making new ones! Every year, two of my girlfriends from Utica College and I attend the conference together, and it feels like we are right back in college. This year, I also got to hang out with my friend and fellow OT blogger Colleen Beck (From the OT Toolbox) and two other admins of my USA School Based OTs Looking for Change group (Serena Zeidler and Joan Sauvigne-Kirsch). We had so much fun and definitely had some major brainstorming over the last few days. 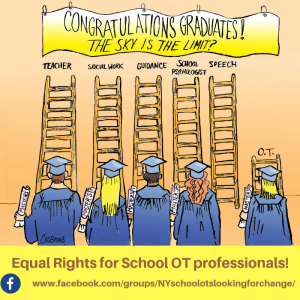 It’s amazing what a bunch of OT brains can come up with! I also attended the AOTA reception for the Communities of Practice. I’m in the state leadership group, so I had the chance to mingle with all the ladies I work with all year long. I also had the opportunity to meet a ton of new OTs, and I’m never disappointed! When you go to the conference, there are literally OTs everywhere- at the restaurants, in the lobby of the hotel, walking on the street right next to you. 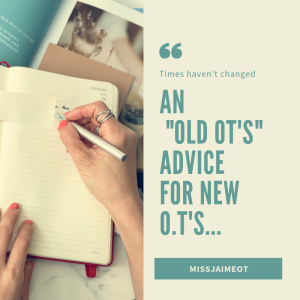 Meeting new people is always super fun, and getting the chance to chat with other OTs from across the country is a blast! 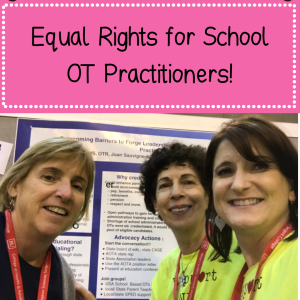 This year I presented a poster and hosted a Conversations that Matter about the quest for Educational Credentialing and Equality for School OTs with my colleagues. The Conversation that Matter went GREAT! It was really well attended – there were actually people standing! Serena Zeidler, Joan Sauvigne-Kirsh and I worked hard to explain what Educational Credentialing is, and WHY it’s important. We had lots of great questions, and the members who attended seemed to leave just as excited and passionate as were are about the topic. 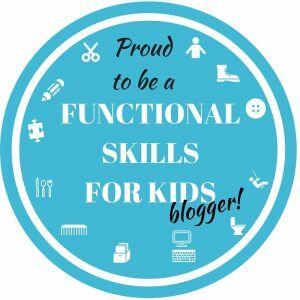 ( I gave out 400 USA School Based OTs Looking for Change business cards!) This movement is expanding across the country! 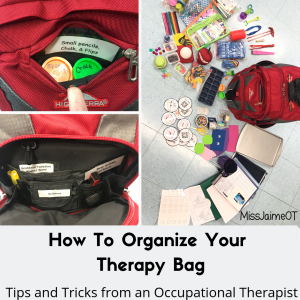 I also had the opportunity to be a guest speaker at one of AOTA’s courses about social media, blogging, and getting published. 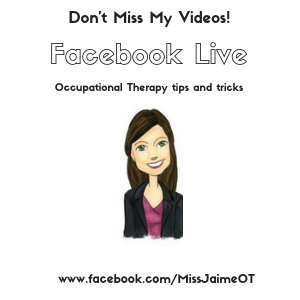 Colleen Beck from the OT Toolbox and I had a great time meeting other OTs who are interested in starting their own social media following. It was awesome! How to get accepted for short courses for AOTA ( a goal for next year!). I was sooooo excited that two of the sessions I attended actually mentioned the Educational Credentialing initiative – YAY! Word is getting out! This is always one of my FAVORITE parts of the conference. I had the chance to mingle with other OTs who are entrepreneurs and inventors. Some of the products that are out there are just amazing! You can see a few of the videos I made on Facebook. I literally hunted down this poor woman. 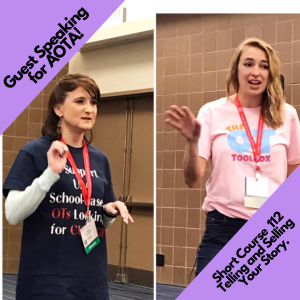 When I discovered that Colleen Schneck was going to be at the conference, I wrote down every possible spot where I could run into her, and made it my mission to meet her – and I did! 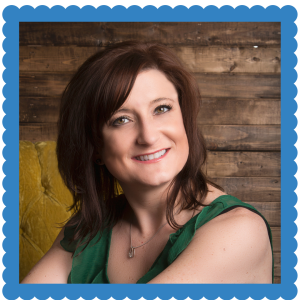 Colleen Schneck is the author of MANY articles about pencil grip and grasp. 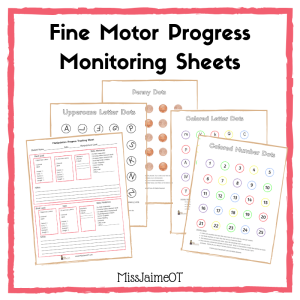 I’ve been working on a book about Pencil Grips, Grasps, and Handwriting for quite a while now, and I’ve been relying heavily on Colleen’s research. I was so thrilled to meet her- I think I actually scared the poor lady who was innocently standing by her poster when I practically bum-rushed her. I was just too eager! Every year the AOTA conference fills me with new determination and initiative to keep working to achieve my goals. This year is no exception. The conference was super busy for me this year, but I did get a chance to hear Amy Lamb (president of AOTA)’s farewell speech. (The new president will be Wendy Hildenbrand). Amy showcased some really creative OTs who are thinking outside the box with really cool new inventions. Her main message was “Be Bold”. I love it. I didn’t get a chance to do much sightseeing- the conference keeps you super busy during the day and there are always networking events in the evening. Usually, by the end of the day, you just want to put your feet up! But I did get a chance to sneak in a few sights and bites. We did a food tour and walked around the French Quarter – the veignes were my favorite (think zepoles or funnel cake but smaller – yum). Attending the AOTA conference for a discount is just one of MANY benefits of being an AOTA member. Check out some more here.